TL;DR Manually delete Chrome uninstaller left overs on Windows to get rid off “Google Chrome installer failed to start” error during reinstall. Some time last week Google Chrome browser on all workstations (Win7 x64) I use got their preference files corrupted and as a result I lost all my bookmarks, extensions etc. Internet paranoid as I am, first thing for me was to scan for viruses, and luckily did not find any (just some friendly AdWare my beloved Lenovo has preinstalled for me but that’s another post). Just in case – I uninstalled Chrome and cleaned up registry using ccleaner before I do a clean install. One restart later, I was heading to google.com with my ol’trusty Internet Explorer in order to download and run Chrome installer. After hours of wasting my time googling I started considering a Windows re-install. But at the end, digging through registry paid off. Found additional ‘special’ key which nobody mentioned nowhere for x64 os (Wow6432Node). 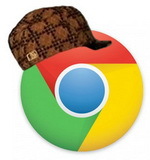 After deleting it, I was finally able to reinstall Chrome. 3. If you by any chance use ccleaner or any similar utility for deleting your browser/system cache, and you update your browsers regularly – be 100% sure to always update the cleaning apps to newest versions to avoid corruption of your browsers configuration. It’s interesting how people still use Windows, despite all this crap. there is nothing and there will never be anything stronger/better/nicer than windows. it worked as sayed. thank you very much !!!! Yes, this worked! Thank you so much! i was struggling for the problem since 3 days and u just solved it in 5 mins…..
I’ve wasted 6 hours of my life figuring out a way to install the chrome. it was the first time this happened to me. and finally I found thing page. fact that is 1.5 years old and this issue is still happening to people is - beyond me. Thank you so much! The missing reg key was the difference. Appreciate your time and effort.